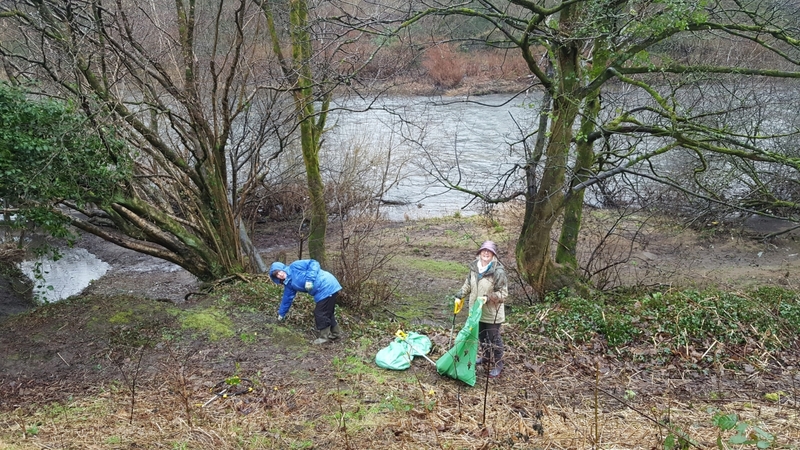 On a very soggy morning, 27 volunteers got extremely wet collecting litter from the park and riverbanks. They gathered over 40 bags or rubbish, as well as the usual traffic cones, car and lorry tyres, plus a bicycle, bits of old rugby posts, and even the mangle off an old washing machine. Despite the non-stop rain, the volunteers had a productive morning and still had a smile on their faces at the end!